Is there such thing as the Tuesday blues? Back to work, back to the daily grind after this 3 day weekend. It would have been better if we hadn’t lost the UofA/ASU game in double overtime do to terrible reffing on Friday. I mean come on, it was so bad that the PAC 12 refs actually released a statement saying they made an error and UofA should have had a technical foul free throw. Figures. On top of it I kind of felt like crap the last couple of days. Okay I’m done complaining now, because nonetheless this weekend was still unexpectedly productive, so that’s good! So yes I’m through with the pity party and now ready to tackle the week! As much as I wish I could have a couple extra hours in each day that isn’t realistic, so instead I make the week as easy as possible. 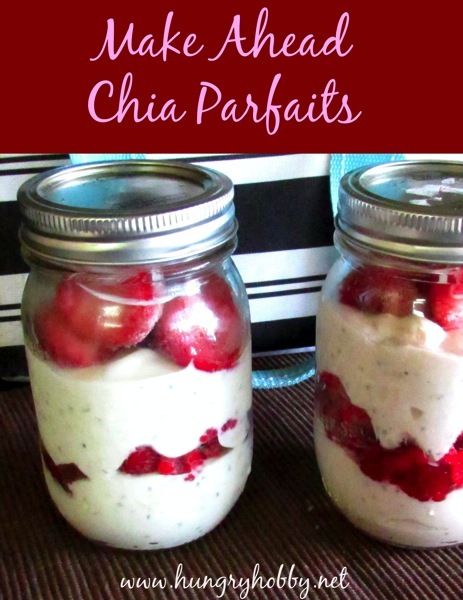 For starters, the last couple of weeks I’ve been making these super portable chia parfaits for Paul and I in the morning and they are awesome! Grab, take, eat in the office, eat on the go for a meal or snack! With this being a short week I thought a quick, easy and healthy breakfast idea might help out everyone else out there! Paul usually will just eat a chobani or TJ’s yogurt for breakfast and that’s it. I started making him parfaits so that I could get a little bigger breakfast in him without adding any stress to his morning. The tricked worked, he loves that he can easily grab one and take it too work, plus its more filling than just one snack size yogurt! Combine all ingredients except frozen fruit. Layer 1/2 yogurt mixture, top with frozen fruit, layer second half of yogurt mixture and top with more frozen fruit. Store in an air tight container for up to 3 days. 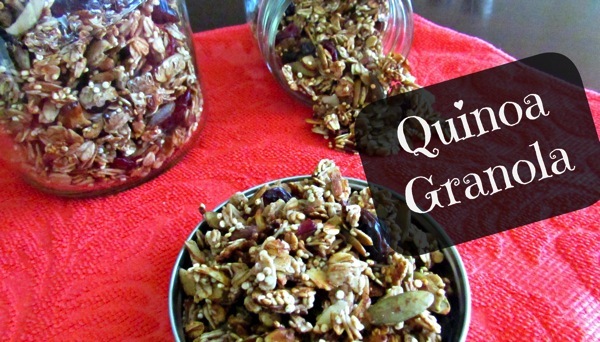 Enjoy with Quinoa Granola or Maple Almond Quinoa Granola. Chia seeds are crazy because absorb 10 times their weight of liquid, creating a “chia gel” which works as a fabulous thickening agent. 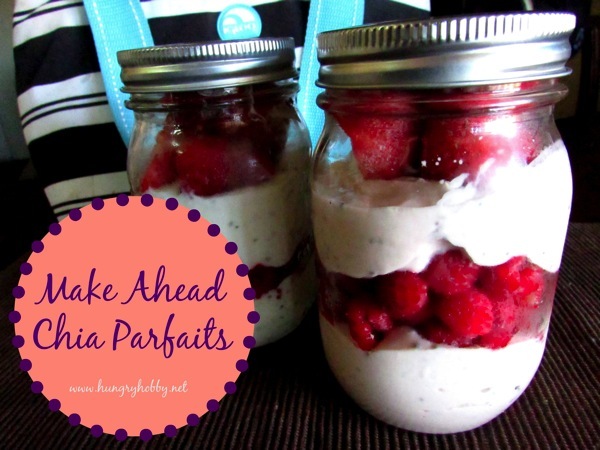 In the parfaits they will keep the yogurt/fruit mix from getting too runny. Plus, chia seeds have tons of health benefits, if you haven’t heard already, here are a quick few facts about the mini sized but hugely popular superfood. 1. 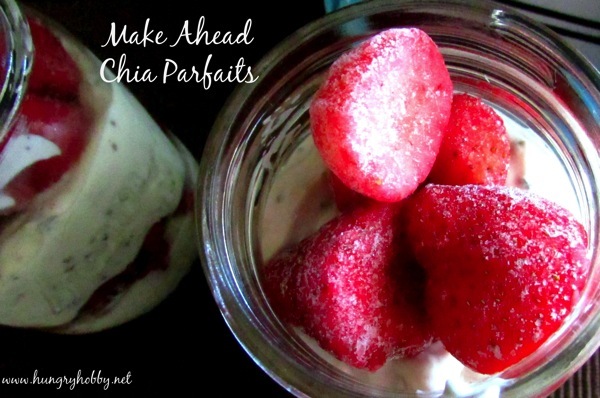 Helps hydrate the body with fluid and electrolytes (in the chia gel version). 2. Rich source of plant based omega-3’s which help fight inflammation. Easier to digest than flax seed, they don’t need to be ground first. 3. Helps regulate blood sugar, slowing down the break down of carbohydrates and spike in blood sugar. 4. Good source of fiber. Chia seeds are an excellent source of fiber which may help with weight control, fight heart disease, and contribute to regularity. 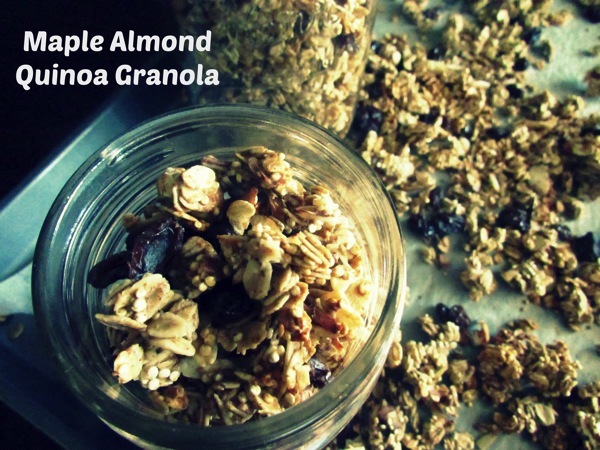 I also use them to make overnight oats, another awesome portable breakfast. 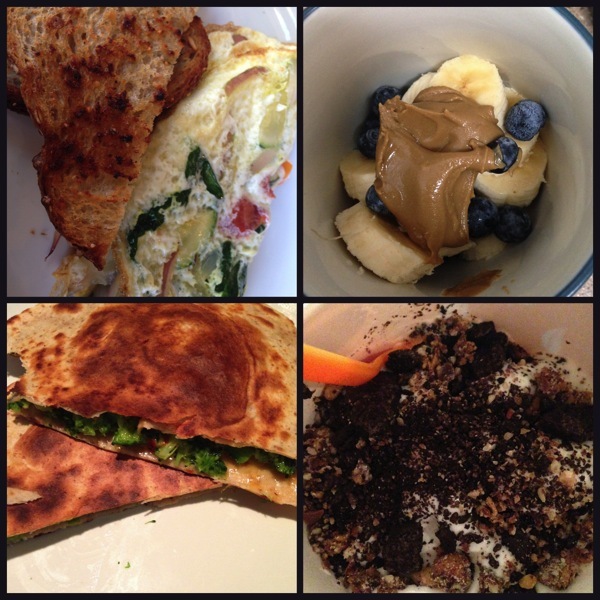 Check out tons of recipe ideas here——> OatTASTIC overnight oats recipe page. 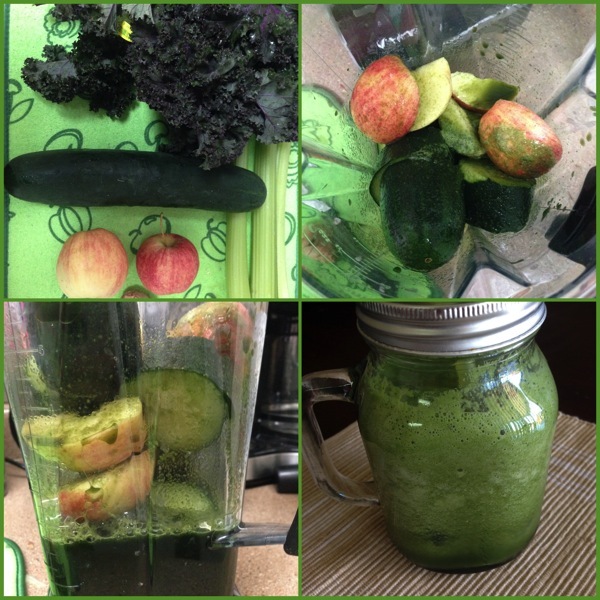 I attempted to juice the Kale and then make a smoothie with the kale juice, cucumber, and apple. Not recommended though, it turned into a frothy mess! Have a great day everyone! What did you do over the three day weekend? Any new juicing/smoothie wins or fails lately?